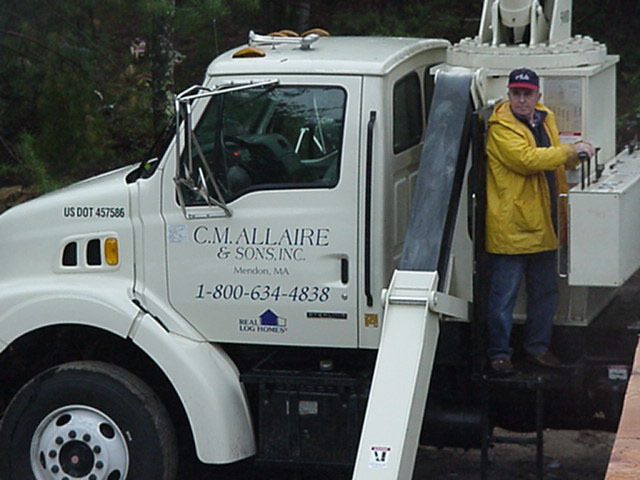 CM Allaire & Sons, Inc. began as a small construction company started by Charles Allaire back in 1963. Early on, the company built conventional homes in the Blackstone Valley area of Massachusetts. With six sons, Charles had no trouble finding construction help. 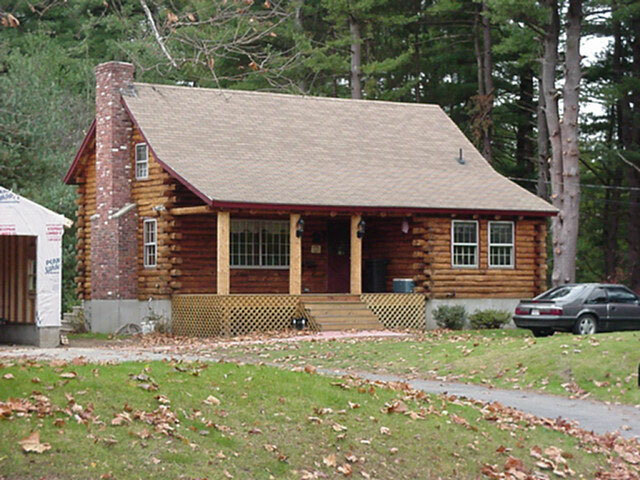 In 1971, Allaire purchased a franchise from Real Log Homes to become its representative in the Eastern Massachusetts and Rhode Island areas. The log home industry was clearly in its infancy at the time. In fact, log homes back then were more of a novelty than a legitimate housing option. That changed quickly. That year, Allaire built a 1600 square foot cape style model home in Uxbridge, MA. It was a considerable risk at the time because the idea of building homes from precut log kits was untested in this area. At first, scores of people were intrigued by the log home idea, but few were seriously interested in pursuing it. The log home alternative caught on quickly. After building just six log homes in his first full year of operation, Allaire tripled his deliveries in 1972 and 1973. It seemed that the more log homes that were built, the more legitimate the idea became for both homebuyers and finance companies. In the winter of 1972, Allaire built a second model home, also in Uxbridge. This ranch style model would provide a home base for sales and construction for the next twenty-five years. The housing boom of the late 70'â€™'s saw an incredible surge in log home construction. Lead times from order to delivery were often more than a full year. 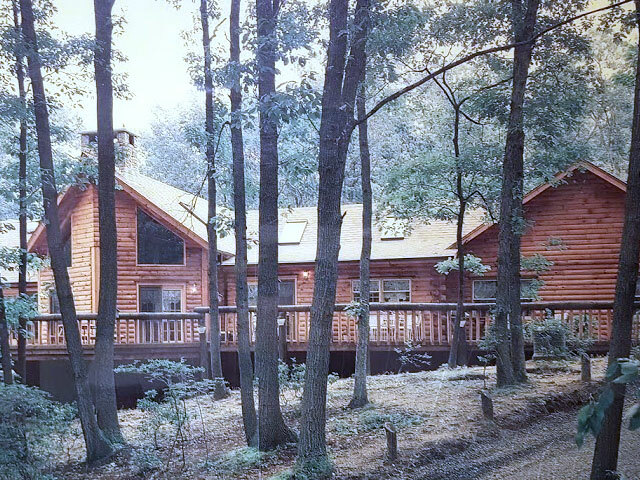 Allaire built over 200 log homes between 1976 and 1980. Log homes were coming of age. Allaire's own construction crews built most of these homes, which greatly contributed to the success of the business. In fact, each one of Charlie's sons took part in the building process at one time or another. Even today, most of the homes sold by C.M. Allaire & Sons are built by its crews as well. In 1981 and 1983 respectively, sons Dave Allaire and Dan Allaire entered the business on a full time basis. Dave had recently graduated from Colby College in Maine with degrees in both English and business. He took over sales and marketing for the company. Dan, a graduate of Bentley College, handled the company accounting as well as supervised the log home maintenance crew. Both sons had extensive first hand log home construction experience, having grown up building the homes themselves. With interest rates up and housing starts down, the early 1980's produced a slow period for both the company and the housing industry as a whole. However, log home popularity spiked again later in the decade along with the overall resurgence of the construction industry. The late 80's, in fact, produced perhaps the greatest period of log home construction ever. The 1990's have seen a very steady demand for log homes. More emphasis seems to be on custom design and personal service than in prior years. The Real Log Home's product has changed with the times. For the first 15-years Real Log Homes offered just one log style - a "rustic" log style that was rounded on both sides. Now there are over twenty different log profiles available. 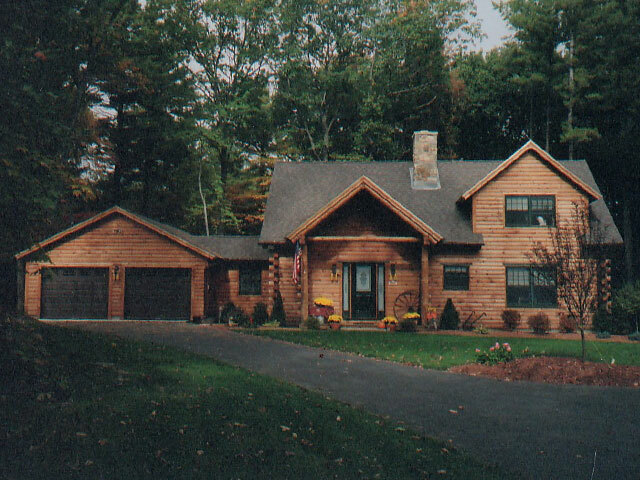 In 1996, C. M. Allaire & Sons opened a new model home in Mendon, MA. The new model, a 2200 square foot Cape Cod design, utilizes the type of open floor plan which is popular with today's home buyer. And business has never been better. 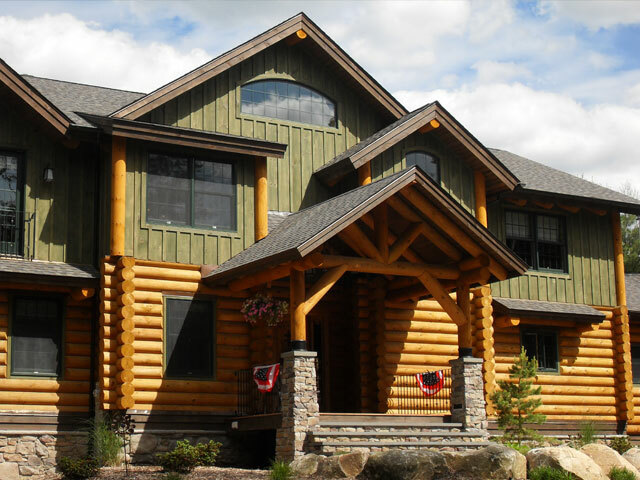 In fact, in both 1999 and 2000 C. M. Allaire & Sons passed the $1-million mark for log home sales within a single year, the first time that any Real Log Homes representative had ever done so. As we move further into the 21st century, log home building in New England continues at an active pace. With construction lead times approaching eight months, our building crews have stayed busy building Real Log Homes year round, with no let-up in sight. In our new generation of log home buyers, we have begun to see the type of repeat business that is more often associated with buying a car than buying a home. Recently, we built a log home for a young man who grew up in the log home we had built for his parents twenty-years before. We also delivered a vacation/retirement home to coastal Maine for a couple whose primary home was built by our construction crew almost twenty-five years ago. These examples demonstrate a level of continuity and stability that is uncommon in our industry. 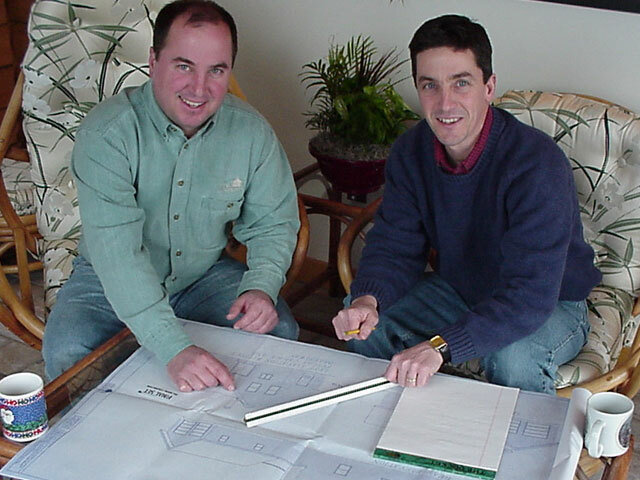 Want to learn more about C. M. Allaire & Sons and our log home design and building services?